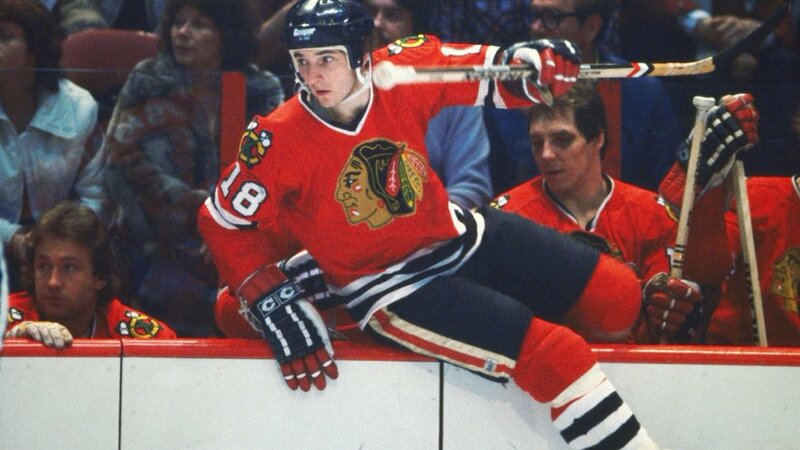 Denis Savard was drafted in the first round, 3rd overall, in the 1980 NHL Entry Draft by the Chicago Blackhawks. Denis began his career during the 1980–81 NHL season in which he had three assists in his first game. He scored 75 points his rookie season. Denis was known for his trademark move, the ‘Savardian Spin-o-rama’, which entailed Savard whirling around with the puck in a full rotation. Savard had two separate stints with the Blackhawks. The first was from the 1980–81 season to the 1989–90 season. The second was from 1994–95 to 1996–97. During his time away from the Blackhawks he played for the Montreal Canadiens (1990–91 to 1992–93) and the Tampa Bay Lightning (1993–94 to 1994–95). On June 29, 1990, Savard was traded to the Montreal Canadiens for defenceman and future team captain Chris Chelios and a second-round pick. Savard went on to win the Stanley Cup with the Canadiens in 1993. He then signed as a free agent with the Tampa Bay Lightning in the summer of 1993, where he played 1½ seasons. On April 6, 1995 Savard was traded back to Chicago and his NHL career would end where it had started, with the Blackhawks. In 1,196 NHL games, Savard scored 473 goals and 865 assists, totaling 1338 points. He trails only Bobby Hull and Stan Mikita for total points in Chicago Blackhawks history. Five times during his career he scored at least 100 points and for seven straight years he had at least 30 goals. His highest point total of 131 came in 1987–88 and his highest goal total of 47 came in 1985–86. In 169 playoff games, he scored 66 goals and 109 assists for a total of 175 points. Savard officially retired from professional hockey on June 26, 1997, and began coaching with the Blackhawks shortly after. On March 19, 1998, the Blackhawks retired his jersey number #18. Savard was inducted into the Hockey Hall of Fame on November 13, 2000. Denis was recently listed on NHL.com's list of 100 Greatest Players of All Time. Shortly after his retirement as a player, Savard began a coaching career with the Blackhawks in December 1997. On November 27, 2006, Savard was named interim head coach of the Chicago Blackhawks after Trent Yawney was fired mid-season. He was commended for leading a young Blackhawks team to within 3 points of a playoff berth during his second season as coach. The Hawks finished just one victory away from the .500 mark in 2007–2008. The 40 wins in 2007–08 marked the first time the club had reached the 40 win mark in six years. In his current role with the Chicago Blackhawks, Denis serves as a Blackhawks Ambassador remaining a key figure with the hockey club and throughout the Chicagoland area. In his role, he works closely with various Hawks community outreach programs including youth hockey initiatives. In addition to this role, he has established The Denis Savard Foundation and Denis Savard Enterprises. Denis currently resides in the Chicago suburbs with his wife.